Top of the morning from beautiful #Niue…..
Top of the morning from beautiful #Niue.. Mini Banana Cakes filled with Cream chese available from Roling Pin. QUICK or else you miss out. Mini banana cake filled with cream cheese with salted caramel drip, available today for $12. This entry was posted in Uncategorized on July 7, 2017 by Niue Chamber of Commerce NCOC. and let others have a turn too. This entry was posted in facebook on July 5, 2017 by Niue Chamber of Commerce NCOC. Good Morning Niue! Kaniu send out a notice last night that they are Back online. Thank you and Fakaaue lahi mahaki Kaniu for your services. Kaniu is back online. Thank you for your understanding and we apologise for any inconvenience. We are currently working to upgrade your internet service so please bear with us. This entry was posted in facebook on July 3, 2017 by Niue Chamber of Commerce NCOC. Offline until further notice. Apologies for any inconvenience caused. Kaniu is offline until further notice. We apologise for any inconvenience but we are working to restore and improve your internet service. Thank you for your understanding and support. Keeping up to date with News from Niue Chamber of Commerce. Newsletter For June Vol 1 Issue 3. NOW released. Light reading this weekend. This entry was posted in facebook on July 1, 2017 by Niue Chamber of Commerce NCOC. Ray McVinnie recently visited Niue, here are some highlights as well as a rebroadcast of his LIVE stream recipe. 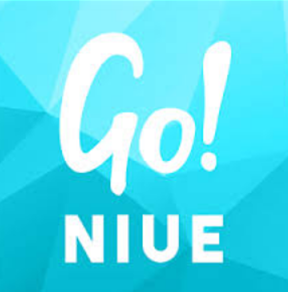 The first ever LIVE from Niue. MasterChef Judge Ray McVinnie Visits Niue. This entry was posted in facebook on June 28, 2017 by Niue Chamber of Commerce NCOC. This entry was posted in facebook on June 27, 2017 by Niue Chamber of Commerce NCOC.